Former Prime Minister Bob Hawke AC has been confirmed as a special guest speaker at this year's Garma 2014, the Yothu Yindi Foundation (YYF) announced today. CEO Mrs Denise Bowden said Mr Hawke would address up to 200 delegates at the exclusive invitation-only Garma Corporate Dinner on the night of Saturday, 2nd August. “We're delighted and honoured that Mr Hawke will be a part of this year's event,” she said. 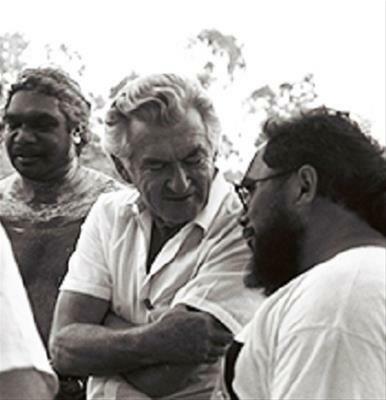 The chairman of YYF, Mr Galarrwuy Yunupingu AM, and Mr Hawke were the central players in the landmark Barunga Statement on Aboriginal rights in 1988. The Statement, presented to Mr Hawke as a bark petition by Mr Yunupingu, still hangs in the Federal Parliament in Canberra. It called for Aboriginal self-management, a national system of land rights, compensation for loss of lands, respect for Aboriginal identity, an end to discrimination, and the granting of full civil, economic, social and cultural rights. “More than 20 years after the Barunga Statement, we are still fighting on many of the same fronts, facing up to the same challenges,” Mrs Bowden said. Garma will take place atop a significant Yolngu ceremonial meeting ground called Gulkula, in northeast Arnhem Land, from August 1-4. The main theme for this year's Garma event is Responsibility, Reform and Recognition.